Fig. 9.15 Phylogenetic tree of the birds, showing the relative importance of the different groups through time, their known fossil records and postulated relationships, based on Cracraft et al. (in press), Unwin (1993) and Chiappe (2002b). Abbreviations: PLE., Pleistocene; PLI., Pliocene. ing fossils forms) and on bird anatomy. 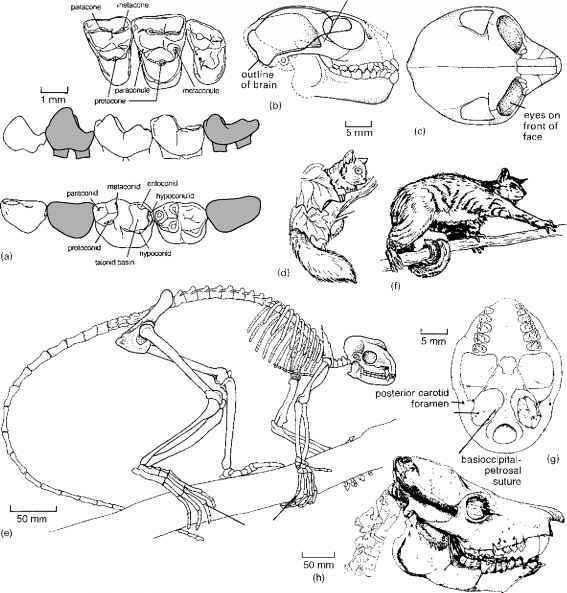 Padian and Chiappe (1998), Chiappe (2002b) and Chiappe and Dyke (2002) give excellent overviews of recent work on Mesozoic birds and on their relationships, and Gauthier and Gall (2001) and Chiappe and Witmer (2002) offer collections of papers on Mesozoic bird evolution. Everything about modern birds and their classification can be found at http://www.ornithology.com/ index.html and http://animaldiversity.ummz.umich. edu/chordata/aves.html, and http://www.chebucto. ns.ca/Environment/NHR/bird.html gives extensive listings ofweb-based materials on ornithology.